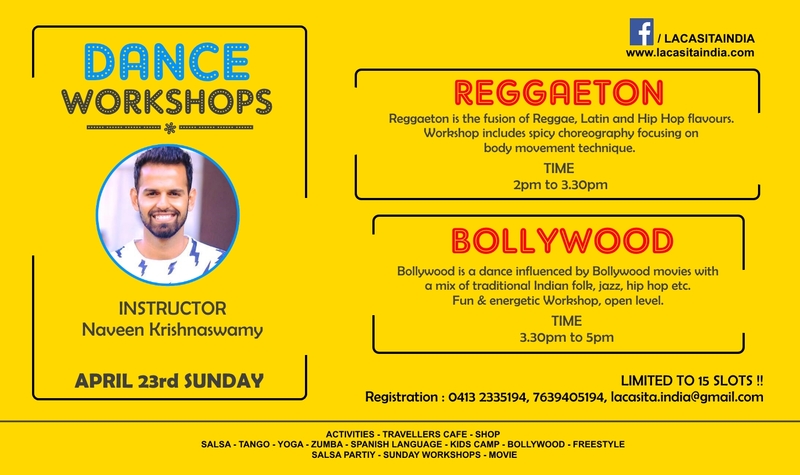 Naveen Krishnaswamy will stay the Sunday (after Zumba Master Class with ZIN Naveen & Pondicherry Zins ) and offer yout 2 in1 Dance Workshop. Timing & workshop Details on the flyer. YOU CAN OPT FOR ONE WORKSHOP OR BOTH !! !!!!!!!!!!!!!!! Rs 800/- ONLY !!!!!!!!!!!!!!!!!!!!!! !!! PACKAGE OF 3 - Rs 1000 !! !